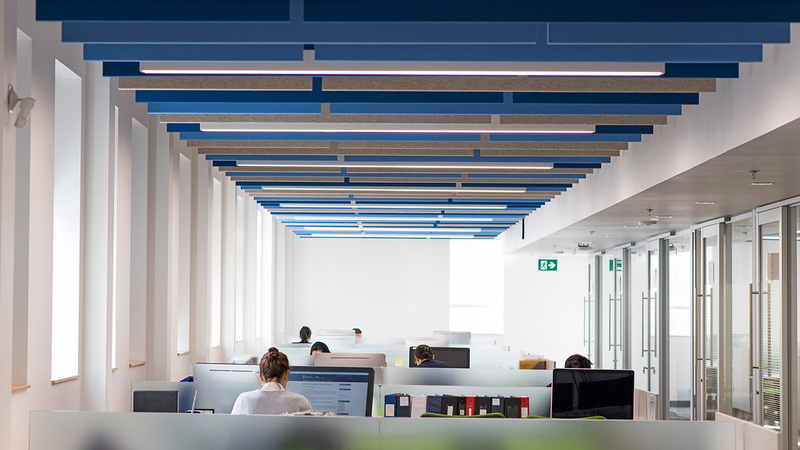 Canada’s most prestigious university needed acoustical treatment in their open concept workspaces. 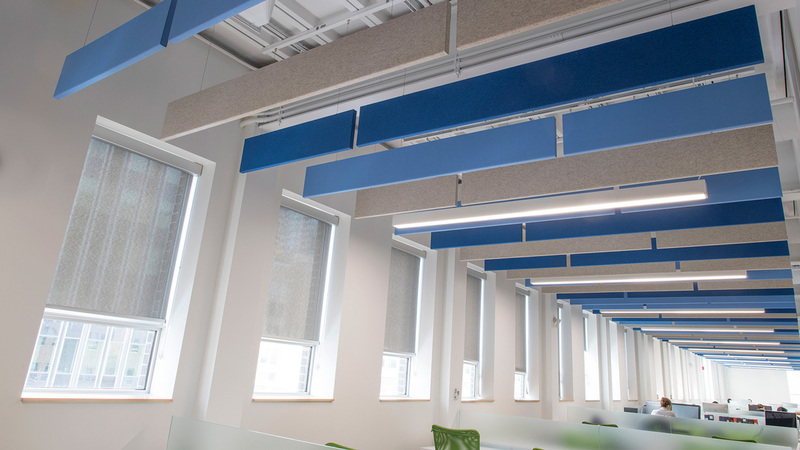 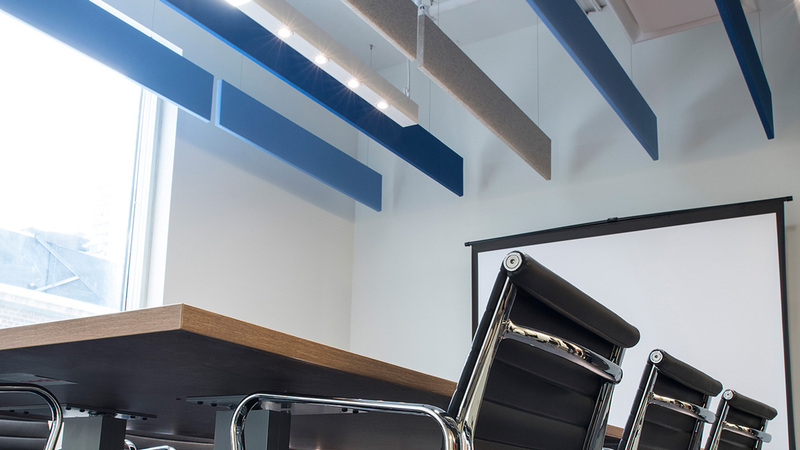 An installation of felt baffles, tinted with pleasant blues and neutral grays, reduces noise without sacrificing space or spaciousness. 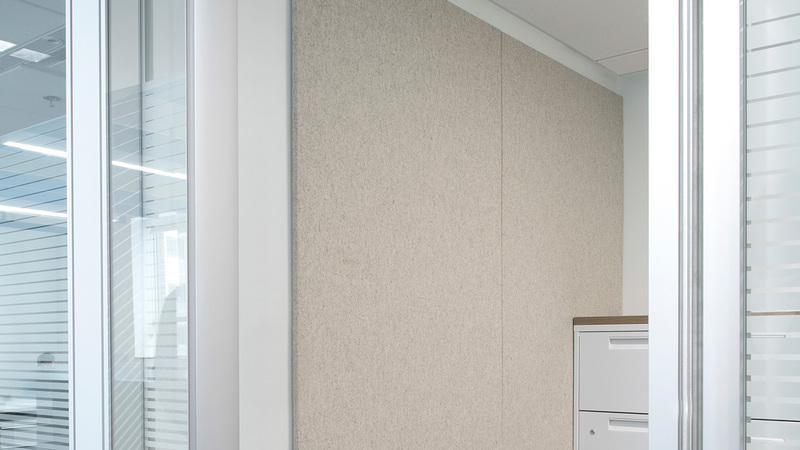 Gray wall panels in adjacent rooms allow for discreet conversation and add subtle organic texture to this clean office environment.